There really is no downside to having a national vending program. It's one of the only services that companies can procure that is free and actually pays them. But how does it all work? From on boarding to ongoing service, here's what a vending management program would look like implemented for your business. Once you've finished the bidding process and have signed a contract with a vending management company, here's how the program will take shape. The first step in creating a national vending machine account is for your chosen vending management company (VMC) to identify the number of machines at each property. This is typically done through a survey of each location. Other information gathered from the survey includes vend prices, package (cans or bottles), and product selection. 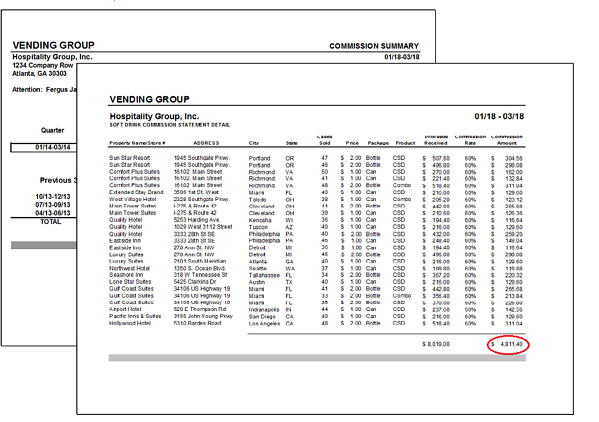 After this information is collected, the VMC will align all properties to the correct bottling sales center or supplier. The program's parameters will be communicated to each of them to ensure proper pricing, package, and commission structure is set for every vending machine in your portfolio. For any locations without vending already on site, the installation of equipment will be coordinated by your VMC. The timeframe for the on-boarding process varies depending on the number of properties in your portfolio, but generally speaking it takes about 4-6 weeks on average to get most locations set up on the program. A commission check that includes revenue generated from each vending machine in the program will be sent each quarter. 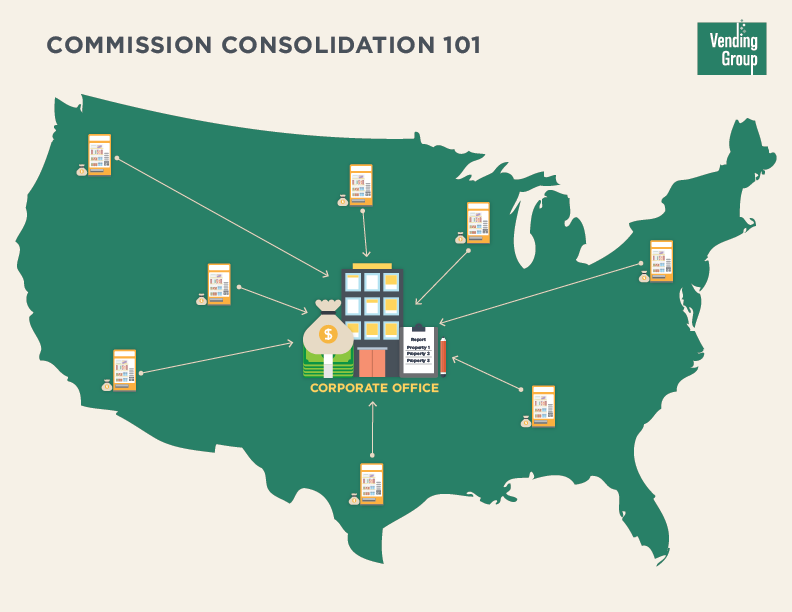 To ensure proper payment, your VMC will confirm each supplier is paying on each machine properly at the correct commission rate. Whatever the industry, be it hospitality, retail, manufacturing or multifamily housing, a vending management program is an easy and effective way to help generate more income for your organization while simultaneously reducing administrative burdens associated with managing vending at each property.